Check out this Self-Cleaning Brush sold over HERE at Amazon for $20. 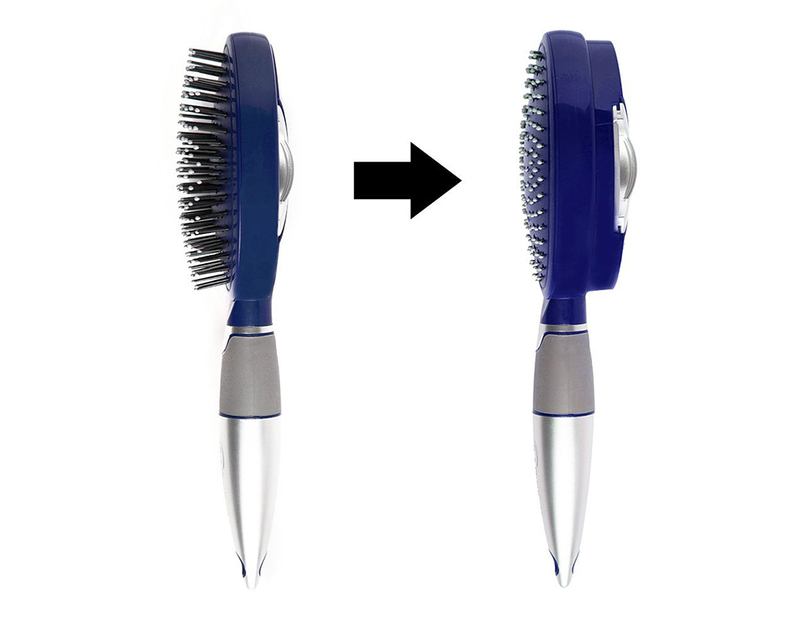 It’s got a bristle retraction system that forces trapped hair out! Genius. Way easier than running your fingers through the bristles or brushing your brush with another brush. You ever try that before? Me too. Immediately regretted it.